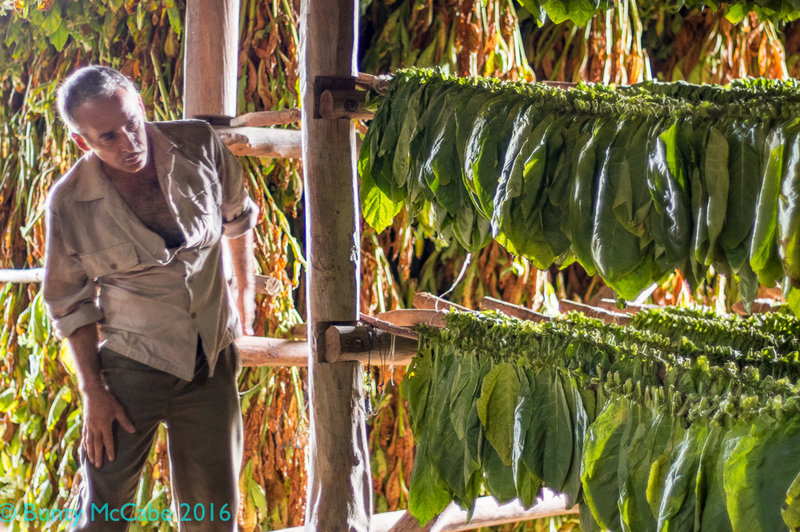 Drying Tobacco in Vinales, Cuba « "I do wander everywhere"
This entry was posted in Cuba and tagged Agriculture, barn, cigar, Cuba, farming, tobacco, Vinales, worker. Love these photos. I always wanted to see the process. So thanks for sharing this. Sorry I cannot tell you how long the leaves get dried for – and I expect it depends the heat and humidity. 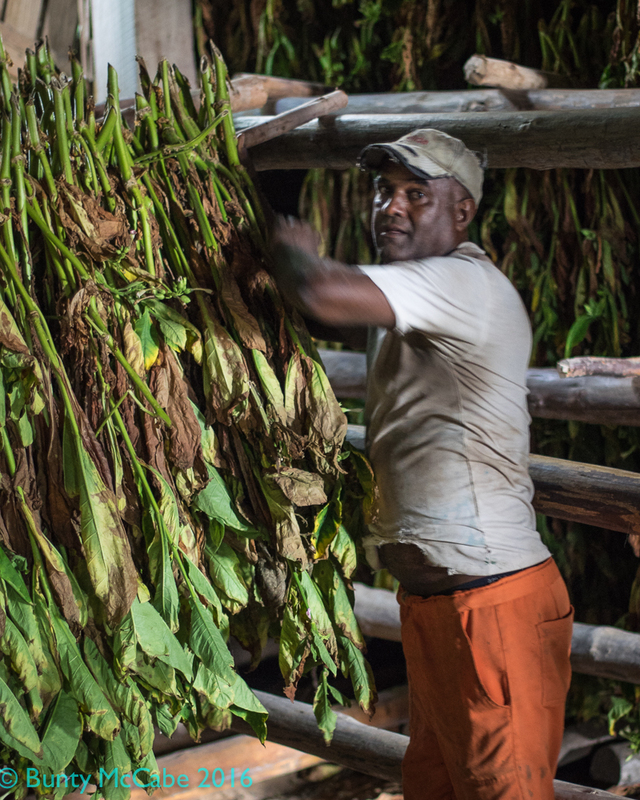 Many of the cigars are rolled by hand from these leaves. Hmmmm….the green leaves didn’t have much of an odour…just green. 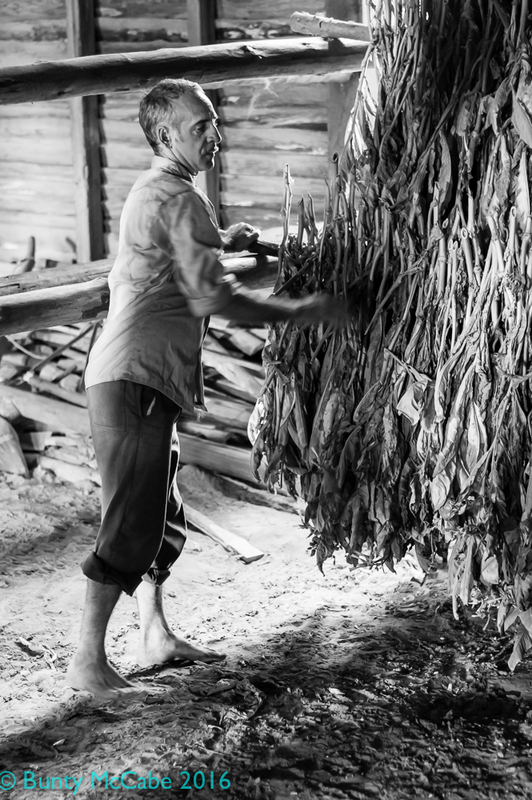 The drier leaves smelled a bit like tobacco – which I remember from when my grandfather rolled his own cigarettes. When we watched a woman roll a cigar she stiuck the outer leaf on the cigars with honey – so that explains the somewhat sweet smell from an unlit cigar. No comment on the smoke from a cigar; I hate it! Thank you. Great subjects certainly help. A challenge in such a dark building shooting at f1.4 – hence because the men are also moving, they are out of focus. But thanks anyway! 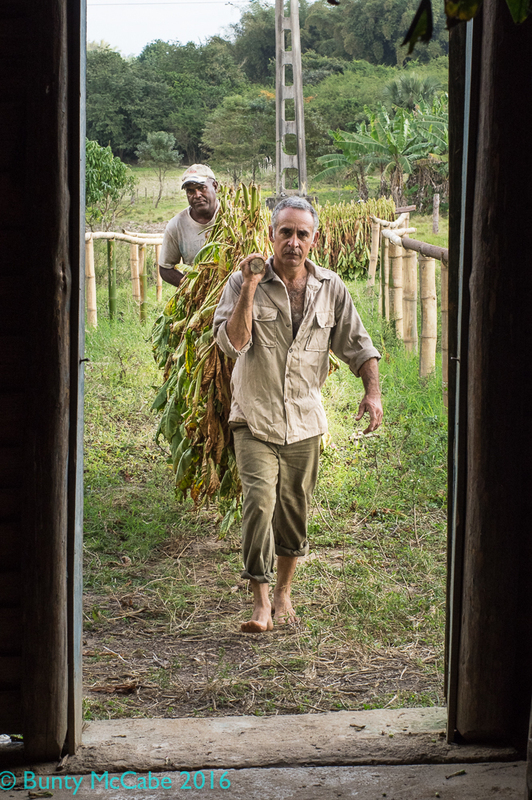 Do they grow tobacco in NZ? Wow, amazing, I had no idea what it looks like to grow tobacco. Thanks Inese; they used to grow it where I live but I never went to see how they processed the crop. The farmers here were since “bought out” to stop growing it. I didn’t even know the leafs were so huge. Great portraits, something to ponder on. Great documentary shots…the light is really nice! Thank you Hedy. I enjoyed that shooting opportunity as much as any I had in Cuba.